Pyrography is the process of burning artwork into wood (or other materials) with heated tools or “pens”. Pyro = fire, graphs = drawing. I use a Razertip SS-D10 woodburning tool. 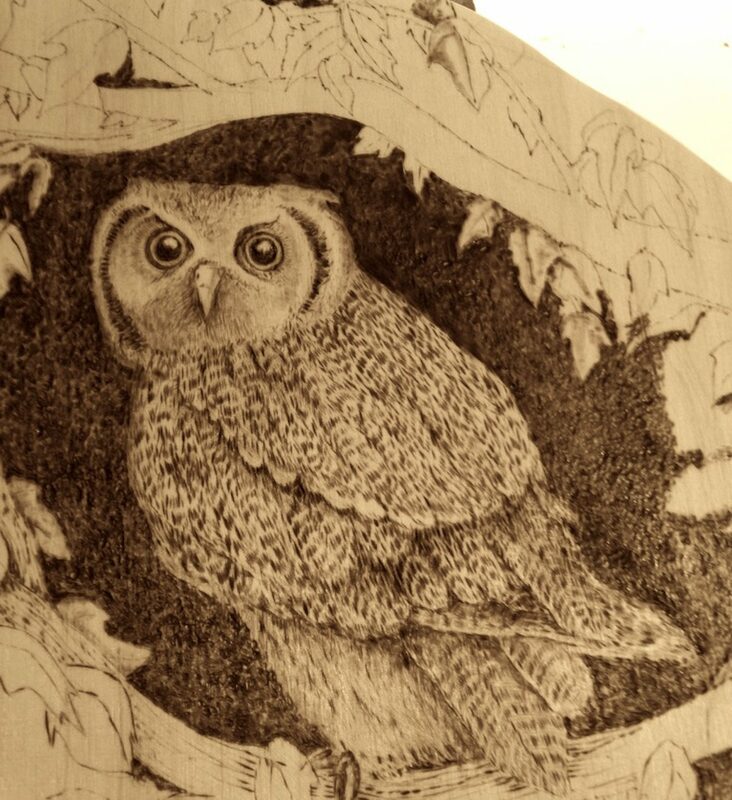 I bring my background of pen & ink drawing and Chinese brush work to the art of wood burning. IMPORTANT: My work is all free-hand: no patterns, stamps, or laser work. I began wood burning in April 2014 and have since added a scroll saw as one of my ‘toys’. NEWEST WORKS (2017): see OWL SERIES, and find my new PUZZLES in FUNCTIONAL ART. An article I wrote was published in Woodcarving Illustrated, Summer 2017, Issue 79 titled Woodburning Animal Eyes – seen at the top of this page.